Hailey Bieber is opening up about becoming a Bieber. 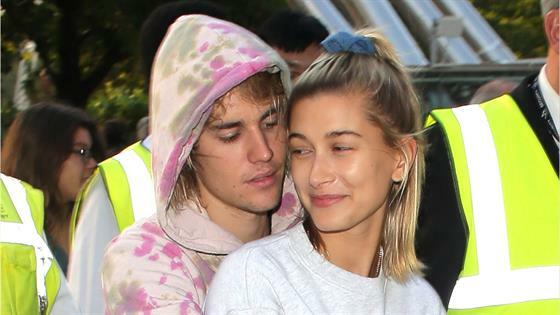 The 22-year-old model, who tied the knot with beau Justin Bieber back in September, is now officially Hailey Bieber. So how did it feel changing her last name from Baldwin to Bieber? "It took some getting used to, for sure," the Drop the Mic co-host recently told Bustle. "It's definitely strange, it takes adjusting." Though she's a Bieber now, that doesn't mean she's not proud of the Baldwin name. "I'm very proud of my family name," she tells the outlet. "I come from a great family with a history in this industry." In fact, Baldwin consulted with her dad, Stephen Baldwin, before officially changing her last name. "I remember when I was going to change it, I asked my dad if he was going to be upset and he was like, 'No! I don't care. We love you. All good, everyone still knows you're a Baldwin,'" she recalls. "It's true!" One month after the couple wed in a New York courthouse ceremony, Hailey trademarked her married name. E! News recently learned that Hailey has been a support system for her husband amid his struggle with depression. "He really wants to get better," a source told E! News. "He has been seeking all the help he can get." The insider added that "this is just something [Justin] has to deal with" and that he is actively seeking professional help. "He is in outpatient therapy and getting help every day," the source explained. "This is his focus right now."